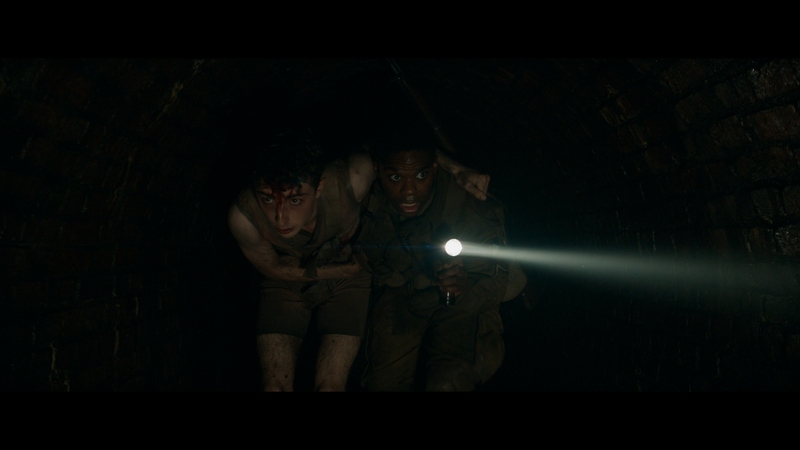 There’s a fine small scale WWII film in Overlord. 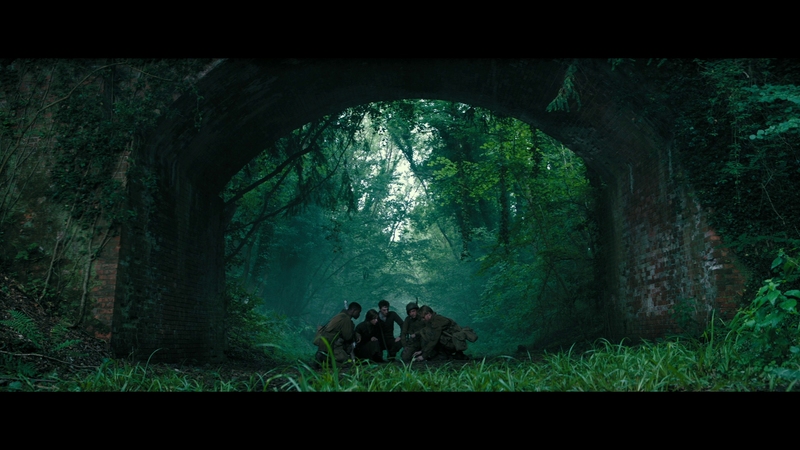 Four US soldiers crash down in occupied France prior to D-Day, infiltrating a Nazi castle to KO their radar. That tense, with limited numbers and Germans constantly patrolling. 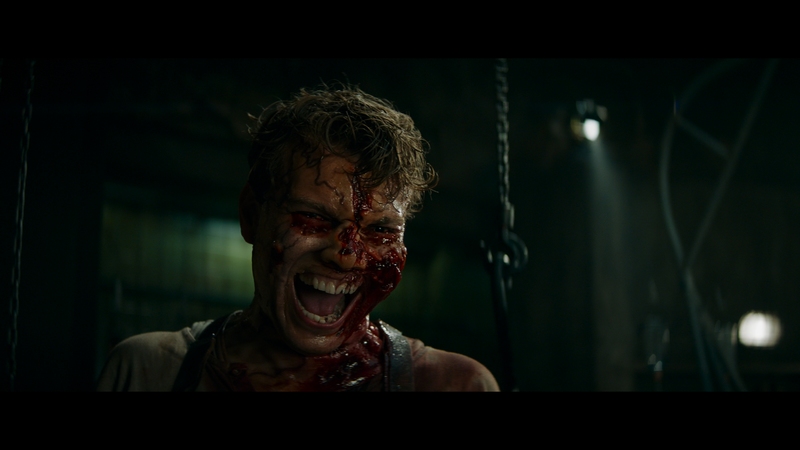 Overlord has a way with things, handsomely shot and suitably grotesque. In an intro sequence, it’s genuinely harrowing as AA guns plaster a transport plane, as vicious and real as WWII films come. For some time, Overlord builds on suspense, not gore. 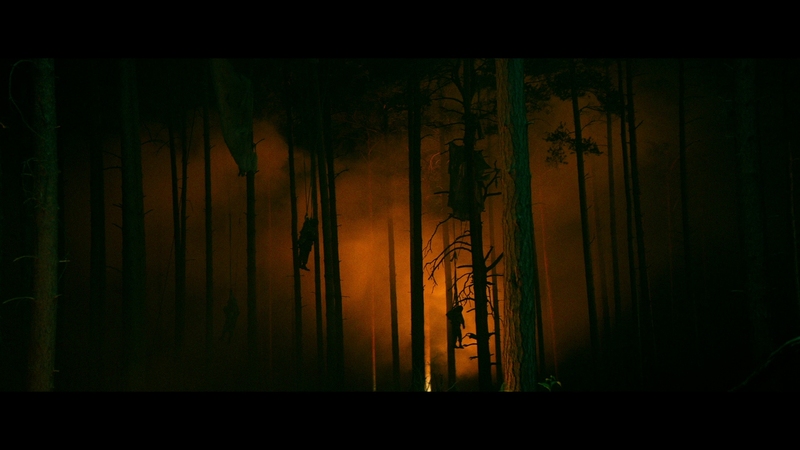 What matters though is underneath, where a Nazi scientist tortures and then raises undead super soldiers. That’s not an original idea. 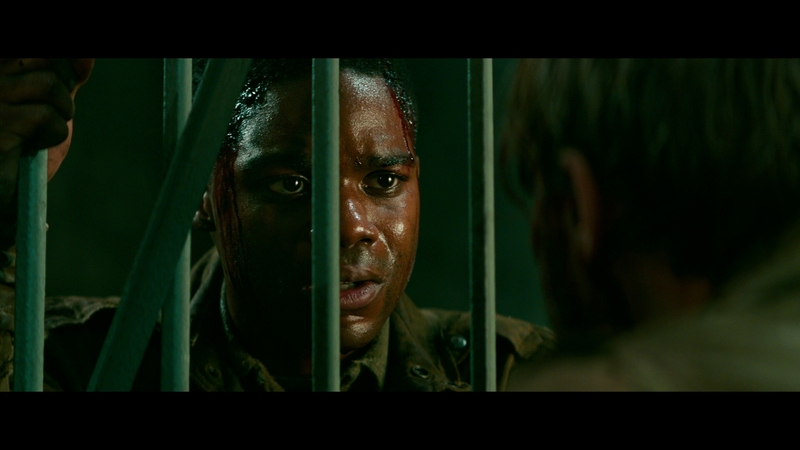 Compartmentalizing the Nazi cruelty happens later in Overlord, with successful newcomer Jovan Adepo invading the base’s underground where experimentation runs amok. That’s not all together untrue; the concept bases itself in reality. Then super-soldiers rise and Overlord turns to modern exploitation. Overlord’s American troops willingly sacrifice themselves and tussle with the improbable strength of their German foes. 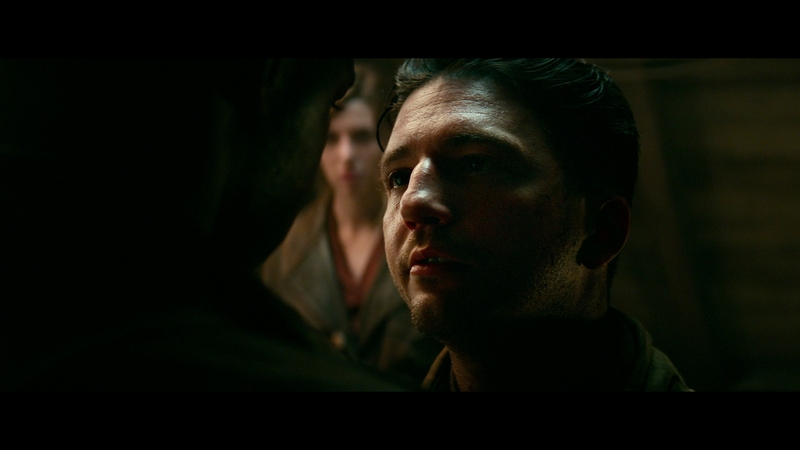 Serum runs through Nazi veins, making for a devious opponent, while condescending the true life tortures of a German war regime. 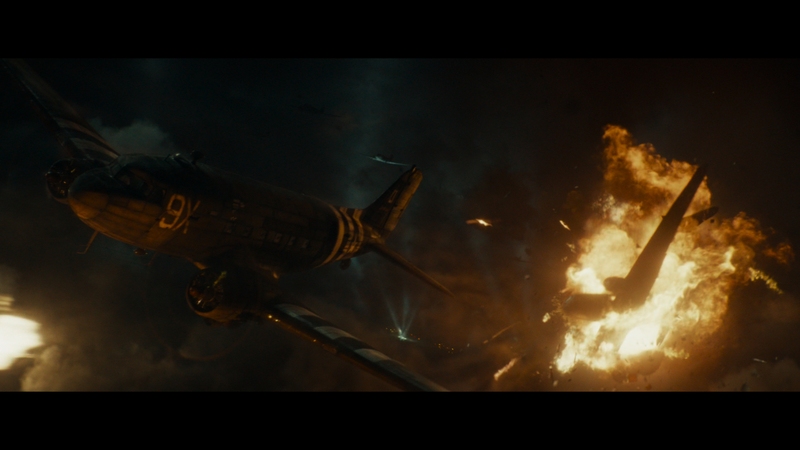 Overlord isn’t a risk taker, adoring the chance to see squibs pop from the skulls of Nazi scum. Meanwhile, most Americans escape unscathed during their heroics. Physically, anyway. Adepo’s voice is an unusual voice of reason in a movie like this. He speaks morally, unwilling to kill unless necessary, and fighting against the torture of a SS commander. That breaks with a tone, and while thrilling at the chance to slaughter enemies, slowing Overlord to build a sense of character. That too breaks with the genre expectations; it’s a movie willing to simmer. It’s not until the third act that Overlord goes for gusto. Time is spent considering the mission, with small tidbits of the eventual horror elements. 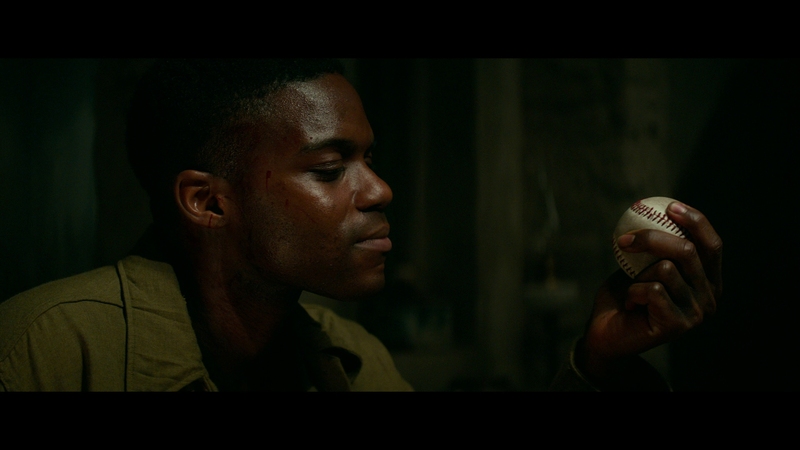 Overlord is unusually careful, distinctive even, in approaching low-brow – if entertaining – material. There’s a question if that works; modern movie marketing doesn’t allow a subtle method of keeping secrets. 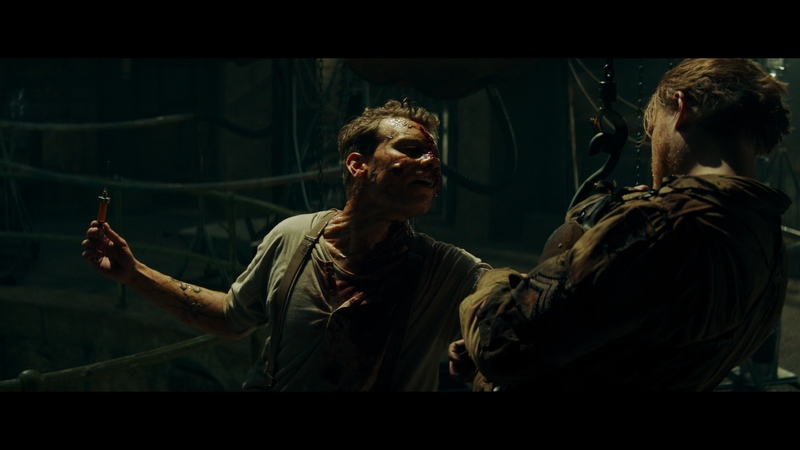 Overlord bills itself as a Nazi zombie expose and Nazi zombies it will have. Forget any surprises or tension in that way. Overlord is then smarter than its content. Tension doesn’t derive from blood-oozing creatures, rather real world elements and the moral quandary of war. 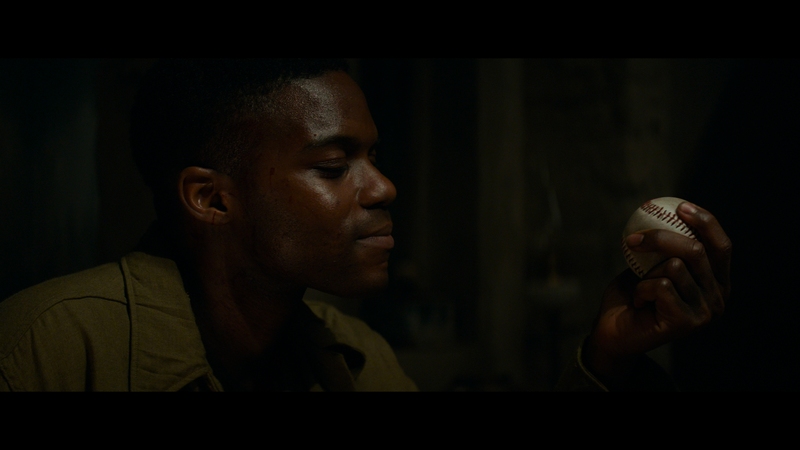 Adepo’s performance is key, cleaning the gross residue left from poking historical content for genre filmmaking. Maybe the low standards of Nazi-sploitation help Overlord, but taking time to even marginally explore wartime principals seems earnest. 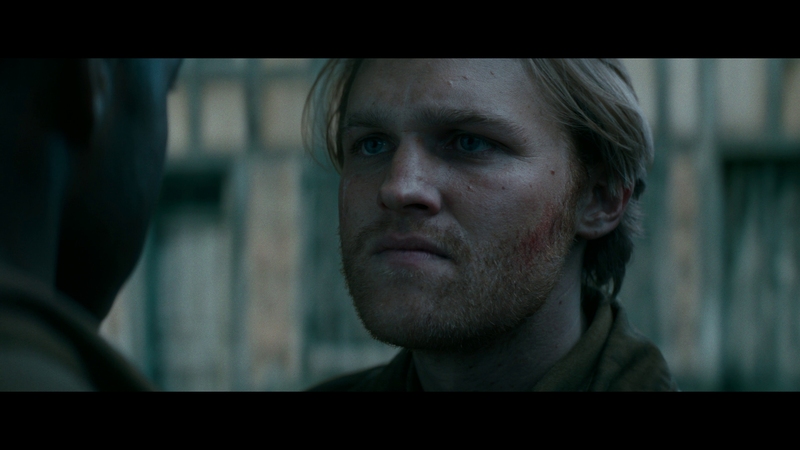 Shot digitally with a light grain filter overlay, much of Overlord looks quite sensational. The level of evident texture produces sustained facial definition, uniform stitching, and the brickwork in the small French village setting. Making use of frequent practical effects, make-up work shows dazzling attention to (gruesome) detail. It’s a high contrast production even though the setting keeps thing cloaked by night. 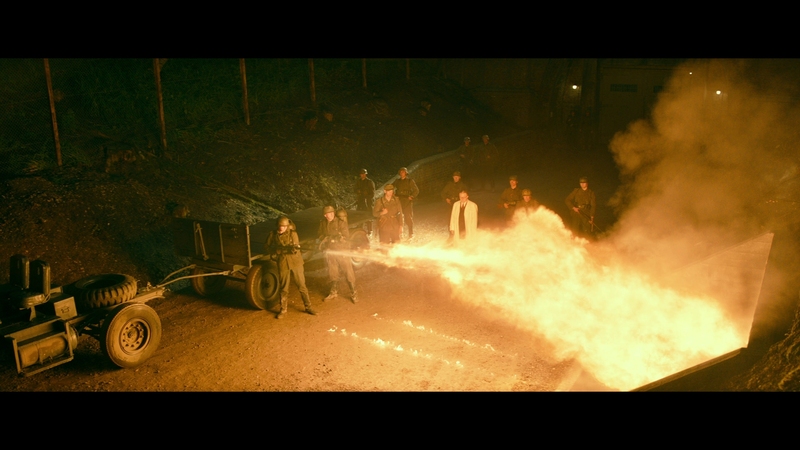 Extensive use of fire sends blinding fireballs into the frame, made more intense by the sensational black levels. HDR helps both to add vigor. Some tinkering at the source leaves a blue-ish tint behind in a handful of scenes, deviating from pure black if still dominant. A great glaze of color keeps things in vintage earth tones, with plentiful greens and browns. Their density creates an attractive palette. Flesh tones jump from this Dolby Vision pass with accuracy, sticking out from the richness elsewhere. When the time comes for splatter, Overlord refuses subtly. Reds give zest to blood, scarring, and other deformities. 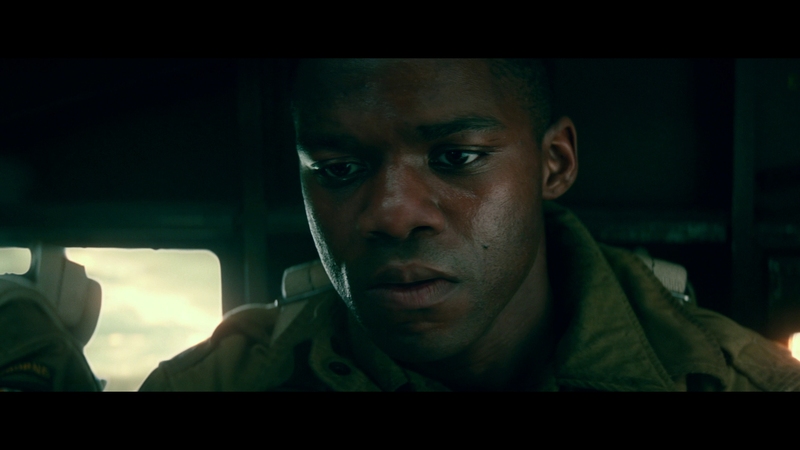 Paramount’s encode whiffs a few moments where the grain filter skews heavy. Mostly, that’s in the lesser shadows where the lack of true black causes an encoding roadblock. It’s not deal breaking. Overlord still carries punch in its contrast. The selling point here is detail, resolving facial definition en masse. Thanks to the focused cinematography, sharpness keeps consistency with gorgeous results. Bright color brings out hearty greens. Arguably, Overlord goes too far with its addiction to bass. There’s so much. Every punch is exaggerated to a brutal degree, waning the impact of bolder moments, such as a zombie smashing a pillar with its head. All of this sounds on the same tier, thick, tight, and with a grandiose rumble. A punch doesn’t need that much bite. It’s loud for the sake of it. That aside, where appropriate, the subwoofer adds ridiculously pure drama. In the intro sequence – sure to act as a demo for many – plane engines, explosions, bullets, and the score call on the low-end with force. The range is massive. That’s used later for explosions and a tower collapse, also demo worthy. Rarely does a disc push this much bass so consistently. There’s directional support too, loving the chance to swing gunfire around the stage. Underground, prisoners scream with their voices traveling between speakers. Subtle cues add space to sewers, echoing out. Gun fights track each round, careful in keeping some shots hitting in the stereos while others jump to the rears. It doesn’t look like much, but booting up The Horrors of War brings up a six-part, 51-minute documentary. It’s great, even with the promo tone. 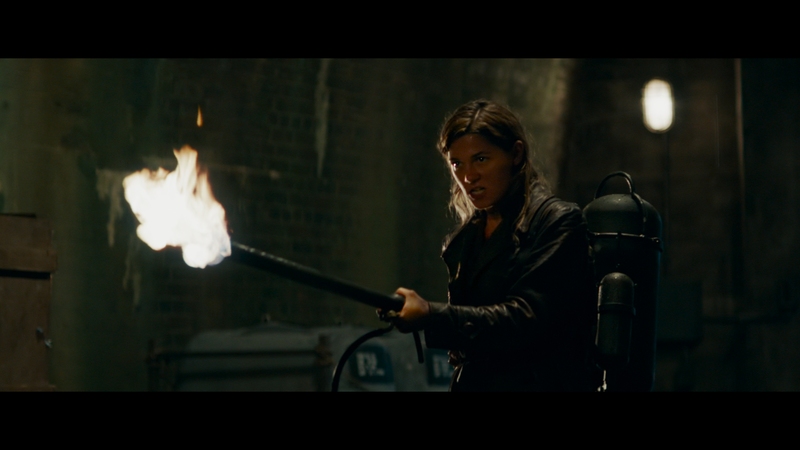 Plenty of set footage and visual effects breakdowns (including practical make-up) tell a total story. 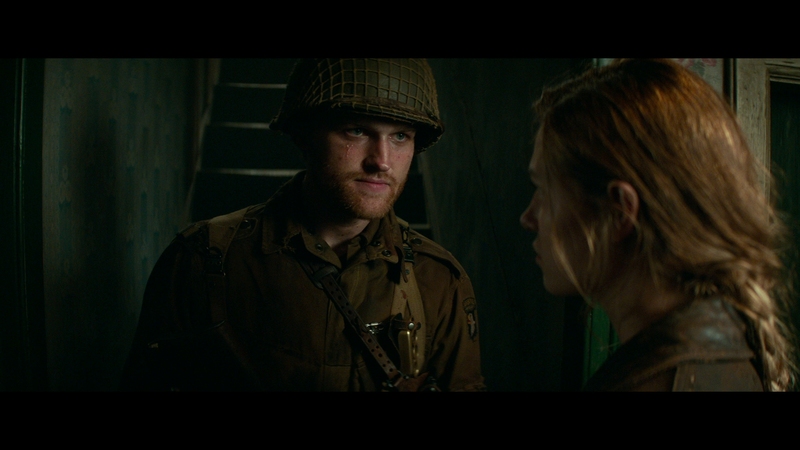 Overlord spends much of its time in waiting, creating a plausible World War II scenario before dropping itself into a gory genre film. The 15 unaltered images below represent the Blu-ray. For an additional 30 Overlord screenshots, early access to all screens (plus the 20,000+ already in our library), 75+ exclusive 4K UHD reviews, and more, support us on Patreon.